Mr. Ibrahima Sory Diallo is a Doctor of Medicine, a former civil society activist and politician, and has ten years of experience managing public health projects in Guinea. He is the president and founder of the NGO Responsible Youth, responsible for training medical residents in the department of imaging and functional exploration in Conakry, and a researcher. Having been personally a victim of police abuse and arbitrary detention, Ibrahima is today the national coordinator of Prisoners Without Borders in Guinea. The challenge: In Guinea, Ibrahima notes, torture, illegal detention and excessively long court proceedings persist despite the efforts that have been made. In addition, the justice system has a number of shortcomings, such as the lack of procedures between courts, non-enforcement of laws, the interference of politicians in judicial decisions and corruption. Ibrahima’s overall objective is to curb torture and illegal detention in Guinea by promoting and protecting human rights. Ibrahima will provide 150 detainees in the central prison of Conakry with assistance on 4 levels: legal, nutritional, health and hygiene, and reintegration. Providing an innovative vision and a clear understanding of human rights and criminal justice, through his JusticeMakers project Ibrahima will support detainees’ rights to a fair trial within the legally prescribed limits of time, push for the development and implementation of the new Code of Criminal Procedure to relieve overcrowding in prisons and to strengthen and reinforce the action of human rights actors in the prison environment and in everyday life. 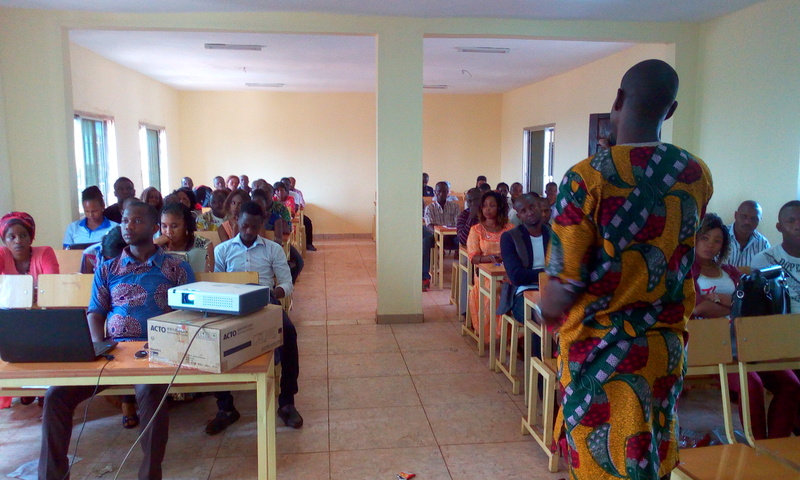 Ibrahima providing a training session in Guinea Conakry.